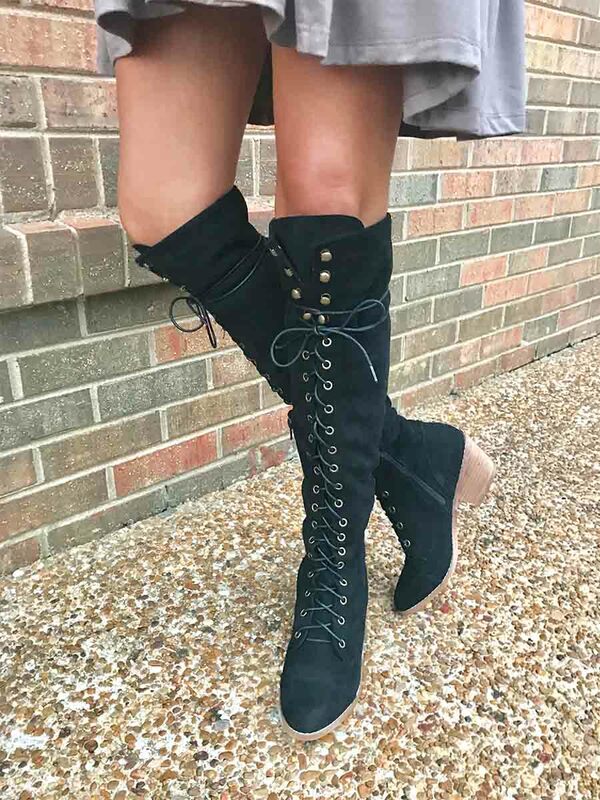 Beautiful Almond over the knee lace up boots with a zipper on the bottom near ankle, also with one inch heel. Only a couple sizes left!! They are so amazing!!!! We also have them in almond! !